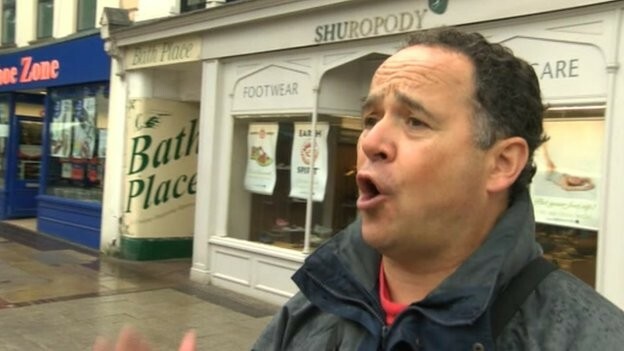 BBC News reports on a Christian street preacher who is standing trial on two charges of using threatening and abusive words, and a third of causing racially or religiously aggravated harassment, alarm or distress after members of the public complained about the content of his public sermons on Taunton High Street in June and July of last year. Michael Overd, 50, is alleged to have made Islamophobic and homophobic remarks while preaching publicly. BBC News reports that a witness claimed Overd “disparaged the Prophet Muhammad during one outburst” while the Somerset County Gazette reports on passages from the Bible which Overd is said to have quoted and which were reported as offensive to gays. Overd was speaking into a microphone attached to a loud speaker system with witnesses saying this compounded the offence caused to members of the public who heard him. One of the witnesses, Darren Chalmers told the court he felt “belittled and ashamed” by Mr Overd’s remarks that “God made Adam and Eve, not Adam and Steve,” and that homosexuals were “sinners”. A second witness, Shelley Cunningham, said she heard Overd make defamatory comments about the Prophet Muhammad and described his style of preaching as “ranting”. Overd’s trial ended on Friday 13 March with the Somerset County Gazette reporting the testimony of Sgt Neil Kimmins from Avon and Somerset Police who told the court that police had received over 20 complaints about Mr Overd’s preaching and that they had tried to meet with him to sort something out. Overd’s defence team have been arguing his right to freedom of speech. A verdit is due at Bristol Crown Court on 23 March. Overd stood trial in 2012 for two counts of using threatening words or behaviour after it was alleged he “verbally abused” two gay men while preaching in Taunton High Street in July 2011. He was cleared by the court with his case supported by the Christian Legal Centre. Those so called “CHRISTIANS” are not Christians at all. they preach the Jewish bible (Old testament). They never mention the Gospel of Christ. and the Catholic church has been infiltrated by the Satanic and Diabolical Jews. Search in your computer “THE PLOT AGAINST THE CHURCH” by Maurice Pinay. the did that in order to further their dream of a one world Satanic Judeo/Freemasonic dictatorchip.